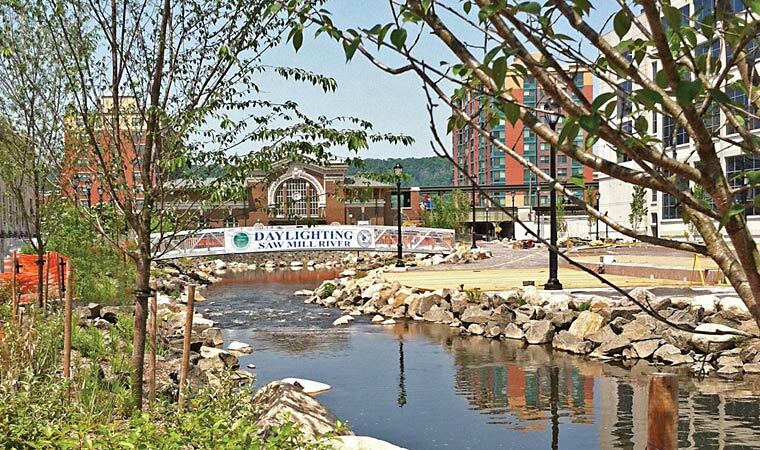 For nearly 50 years, Scenic Hudson has been helping riverfront towns adapt to changing times in ways that balance economic growth with the need to preserve the character of their communities. The working waterfronts of the towns and cities along the Hudson once bustled with factories, mills and shipping. Today, these communities are facing the challenges of reinventing themselves for a post-industrial age. How can a riverfront site filled with industrial waste be turned into a public park? How can a real estate developer be persuaded to modify a project to include public access to the waterfront and remain in scale with the surrounding community? How can an international corporation be convinced that a giant industrial plant would be too harmful to nearby towns? Scenic Hudson has helped numerous communities meet these challenges.